Relationships make the world go round. The world is basically one big smorgasbord of people relating to each other to get things done. So, it stands to reason that to optimize ourselves and what we do in the world, we have to optimize our relationships. 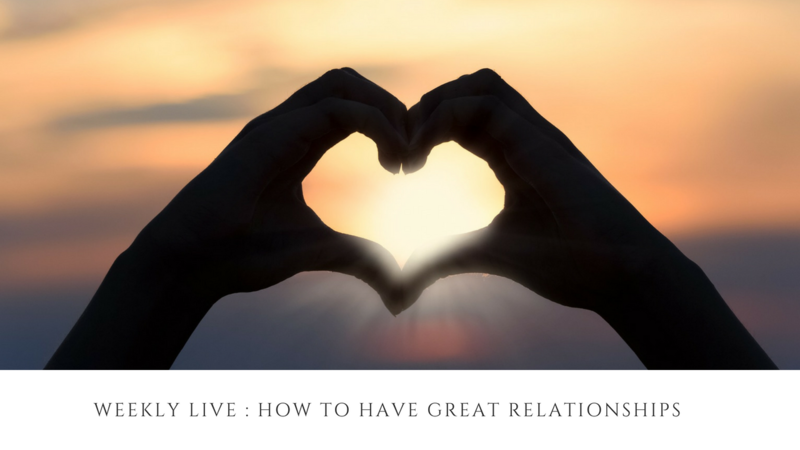 One of the relationships that is most impactful, if not the most impactful relationship in ones life, is the relationship with our romantic partner. No doubt this relationship will greatly affect all the areas of our lives. So wouldn`t it be a good idea to make it an amazing relationship? But how does one do that? That`s just what we will be discussing tomorrow in my Live facebook interview with Therapist and Coach Kerriann Toby. What are three of the common issues you see in relationships and what are some ways to deal with those issues ? If there was one thing that you could tell everybody who is in a romantic relationship right now to stop doing what would it be ? What are some of the most challenging Relationship Situations you have encountered in your practice ? What would you say are some healthy practices that all couples can consider to maintain and grow their relationships ? WILL YOU BE TUNING IN ? Are you interested in hearing her answers? If you are, tune in to my facebook page tomorrow ( Sunday 22nd July, 2018) at 3:00pm AST to find out what she has to say. Don`t forget to Like my facebook page and if you enjoy the content that I share through my videos please consider becoming a patron of my show by clicking this link .